You must make reservations at least 5 minutes in advance of the time at Ristorante Giorgia. Monday, wednesday, thursday 5:00 pm to 8:45 pm. Friday and saturday 5:00 to 10:00 pm. Sunday 3:00 to 9:00. 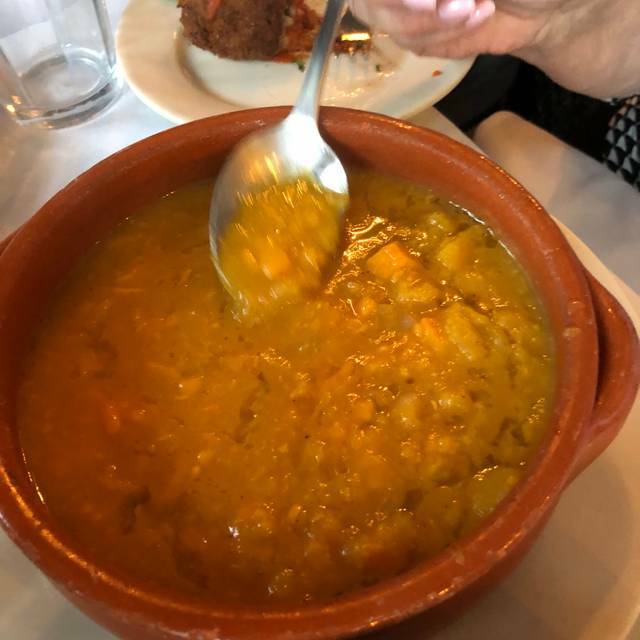 Risorante Giorgia is located at 102 Ave of two Rivers, in the heart of Rumson, NJ, in a quiet neighborhood setting, a short distance from the beach. At Ristorante Giorgia, we want all of our customers to experience an authentic Italian dinner, cooked with the freshest of ingredients. After all, isn't that what Italian food is all about? Allora, mangia bene, vivi bene, e buon appetito. We received a gift certificate from a friend and decided to take the family for our daughter's 22nd birthday. The food was fantastic and we all enjoyed our choices. The ambience was very old world Italian rustic and our waiter was friendly and knowledgeable. The only downside was that it is very pricey. Definitely a special occasion destination only. Highly recommend reservations as the restaurant is small with only a few tables. First time visiting this restaurant for our anniversary. Ryan was our server. Explained all specials in detail, service was fabulous! From appetizer to dessert, it was top notch! Would highly recommend this restaurant. wonderful meal prepared very well. House made pasta is wonderful. Dinner was delicious. We have dined at the restaurant before & it is consistently a great experience. Fabulous dinner! And to believe it's just around the corner from us! Love the food! However, I don’t understand why the service is so slow and inattentive. Waited 20 minutes for a waiter to take our order. Took 90 minutes for entrees to arrive. I love the relaxed atmosphere in this place. The food is always high quality and delicious! The service is friendly and accommodating. The filet mignon was excellent! The food is always great here - thoughtful combinations artfully prepared. "Cozy" space means tables are close to each other, but the noise level remains moderate. Service is attentive with occasional minor lapses (e.g. our table was set without salt or oil which we had to ask for). This was our third meal here and we will certainly be back for more. The food is fabulous, everything tastes fresh and homemade. It has been a few years since we visited the restaurant. It What a wonderful experience from atmosphere to service. It's all about the food and it was 1st rate as was the service. We had an excellent dinner. Everything was delicious and fresh. Can not wait to go back again! Awesome as always. We always love going here. Consistently wonderful!!!! The food was excellent however the service left something to be desired. We were a party of two, showed up on time for our reservation, were seated promptly but it ended there. The waiter asked what kind of water we wanted, we told him and he disappeared. Fifteen minutes later we had to flag down the "other" of two waiters who told us it wasn't his table but he'd bring us water. Upon coming back with the water he tells us he is now our waiter. Slow start but ultimately turned out ok.
You don't keep going back to the same restaurant if it isn't exceptional. Giorga does not disappoint. Some of our faves are the cod, the ridiculously good pork chop and the fusilli with shrimp and zucchini among many others. Service always friendly and on point. Food cooked to order. Real good spot. This is my favorite local restaurant. The food is always great. The service has gotten really slow. It should not take 2.5 hours to have dinner on a Thursday night. The food is always excellent here! The long stemmed artichoke salad was very tasty, as were the cockles. I had the barramundi over escarole which was wonderful. So was the pork chop. The server opened outer wine and brought us our bottle of sparkling water, but didn’t pour either which was surprising and not up to par with service we are used to, but other than that was just ok on this occasion. Authentic Italian. All made from scratch. Our favorite restaurant. Service is terrible and wait is far too long. Too bad because food is generally good. Great service, great food and great value. Food has always been very consistent. Mediterranean salad was wonderful to share. I had the pasta with calimari which was tasty and had a little kick from hot peppers. 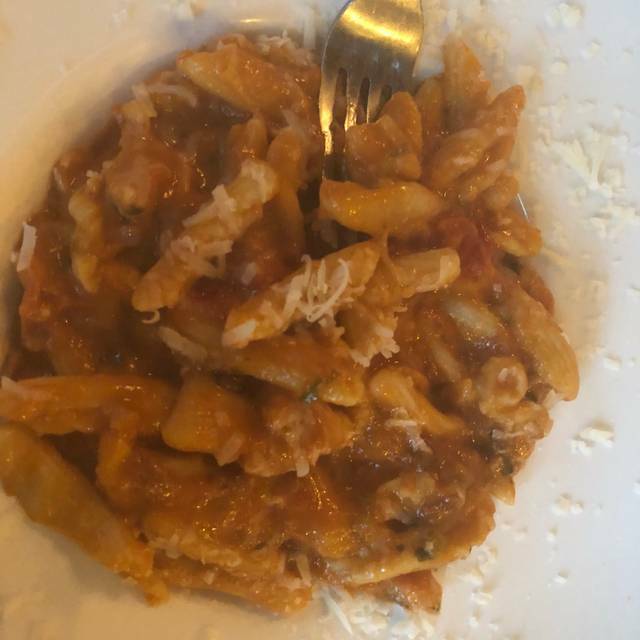 My husband had a seafood pasta dish with chick pea sauce and was very satisfied. Great food, nice atmosphere, good service, fair prices. Excellent. Not too expensive. The Sunday sauce and meatballs totally over the top. Cheesecake too! Excellent. Our first time and we will be back. The house ravioli and veal/basil lasagne were superb. I have been to Giorgia's many times and have never been disappointed. The menu is varied and the specials are "special". I had a dish of papardelle with shrimp and mushrooms in a lemon butter sauce that was outstanding. Also my appetizer of stuffed zucchini was as always a great choice. I am looking forward to returning to this restaurant.